When the weather warms up, you just want to open the windows and let in the fresh air! 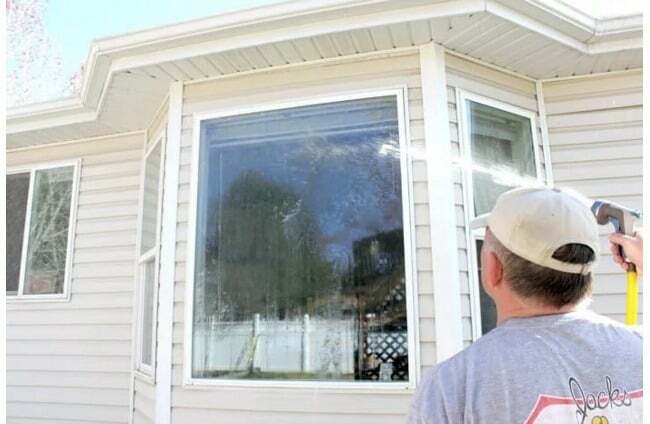 Which reminds you that you also need to clean those window screens. Which reminds you that the screens aren't the only thing that needs cleaning! 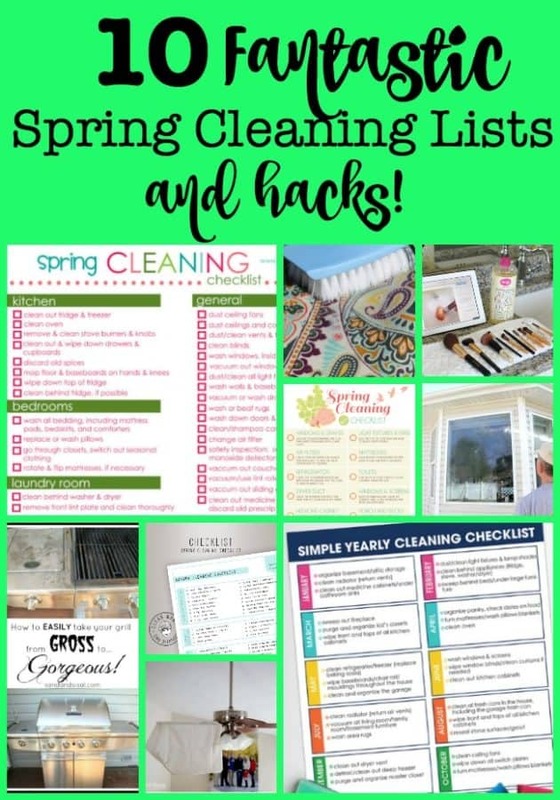 So if you are motivated to tackle some spring cleaning and get organized around your house- here are some great spring cleaning lists and hacks for you to use! 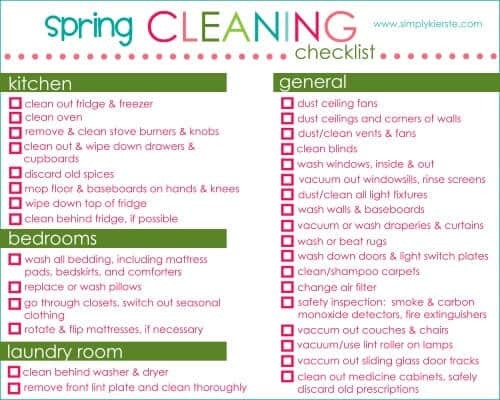 I love to tackle my spring cleaning using a checklist- and I often will assign a day to each room or task to help me keep on task to get it all done! 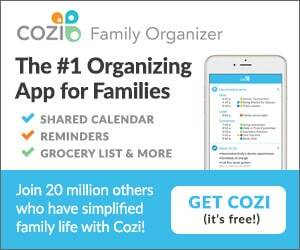 4 Great Spring Cleaning Lists (Free Printables)! 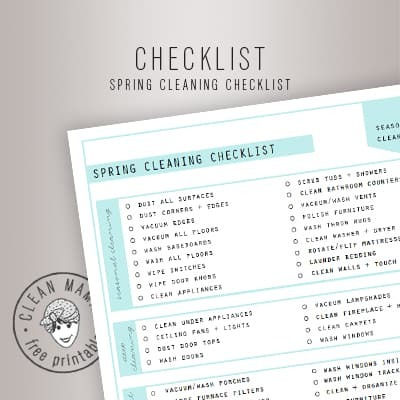 Kierste over at Simple Kierste wrote this great post about spring cleaning and created this free printable checklist for you to use as you work your way through it. 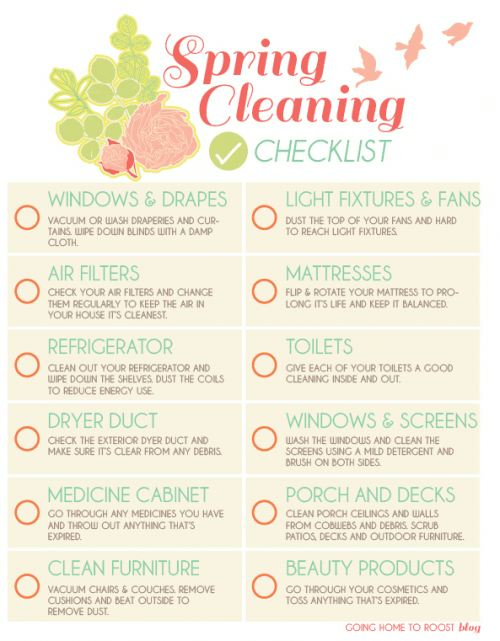 Becky from CleanMama is another one of my favorite bloggers who created this Spring Cleaning Checklist which you can download and use for your spring cleaning tackles! 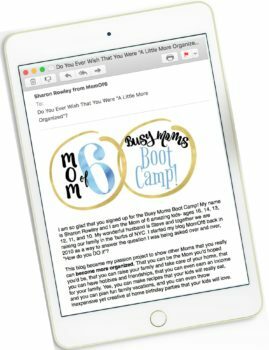 Heidi from Honey Bear Lane created this more elaborate and detailed checklist which you can print here. 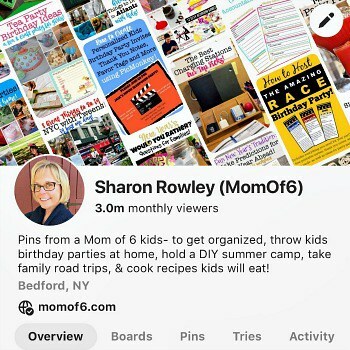 Does doing everything in one season feel like too much all at once? 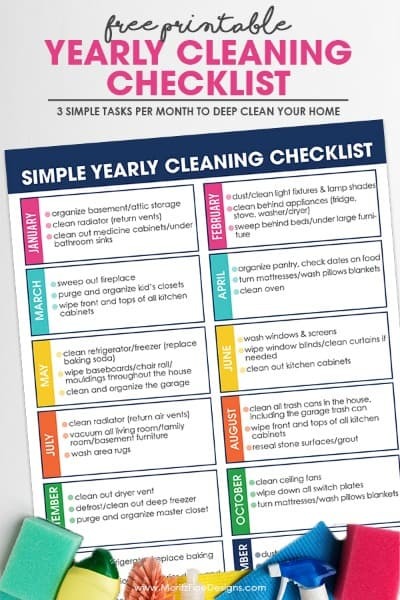 Try this yearly cleaning list created by Moritz Fine Designs- with only three tasks assigned each month! 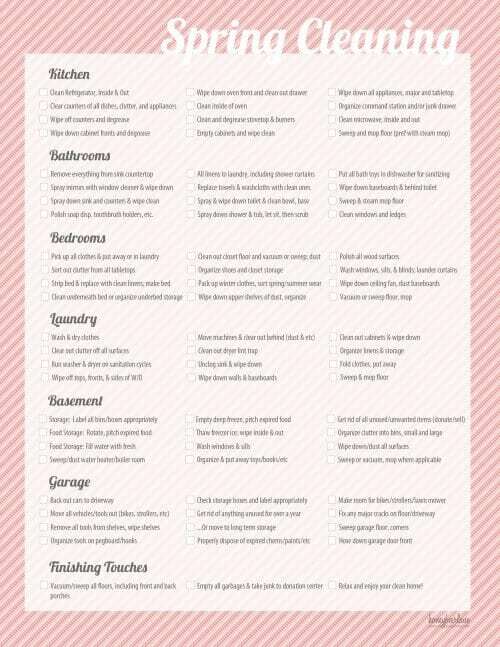 This one might be my favorite spring cleaning list of all! Spring Cleaning Hacks You Need! I learned this tip a few years ago- and it is super simple but so effective! Check it out at One Good Thing by Jillee. 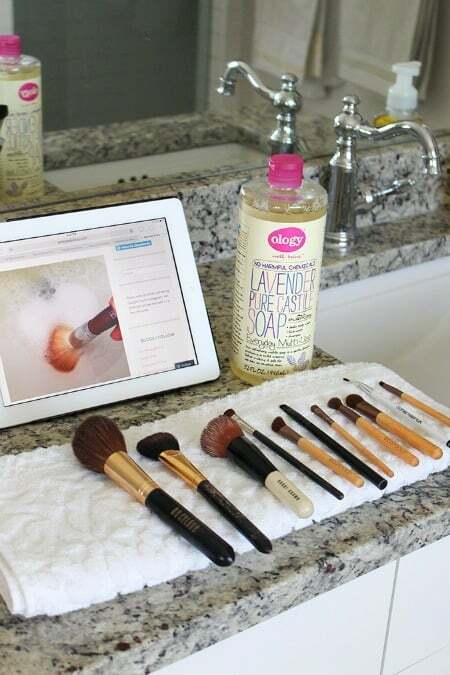 This tutorial on eHow will help you get your screens clean for the season! After a few seasons, outdoor cushions just look dirty and sad! This tutorial from Home Style Life is what I need to make my cushions look new again! 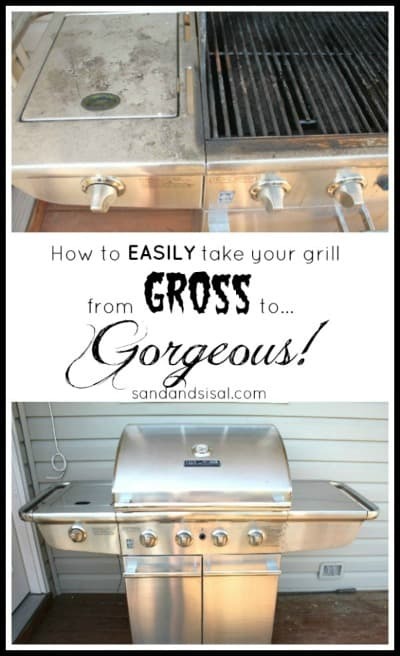 I cannot wait to try this idea from Sand and Sisal – I would love for my grill to shine again! 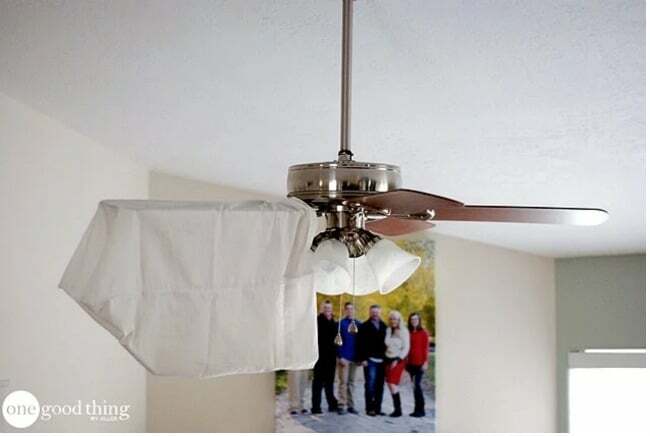 And this tutorial from Snapguide will show you how to tackle the inside too! 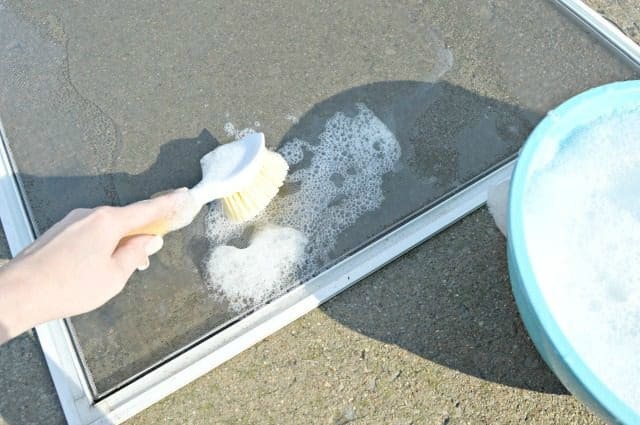 This homemade window cleaning solution is a new idea for me- and Jillee claims that it will dry on its own- streak-free! 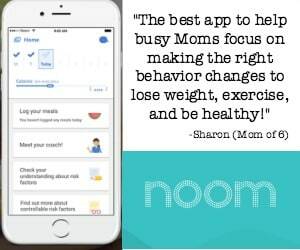 This is a task that hasn't been on my radar- but should be! Jenica from A Slice of Style shares her process here! 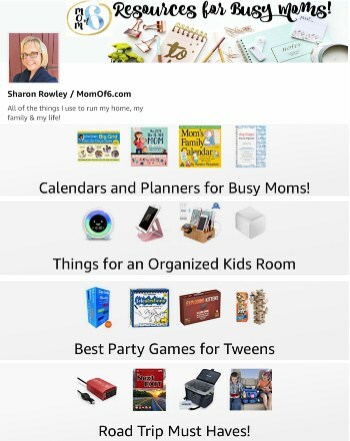 « 12 Awesome Birthday Party Ideas for Boys! I love the idea of spring cleaning and starting afresh so to speak, after all it’s a time for renewal. My problem with living in the south is say you want to spring clean in March and or April is the pollen, it goes everywhere. We try to keep the windows shut but it still permeates everywhere. 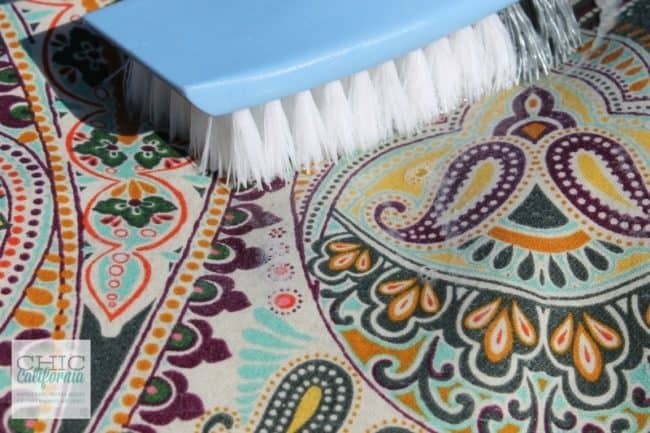 So you can’t start to spring clean until spring is almost over and then it’s summer…..I do what I can obviously but it does get to me a bit. The vehicles also need daily rinsing it’s ridiculous! I usually try to find the positive side of things so I will say it is a beautiful part of the country to live in, especially in the spring! I really do enjoy all the flowers! I wasn’t raised here so I didn’t grow up with this so I’m trying to make the best of it. I know what you mean… our cars are literally covered in green dust in the morning, you don’t even want to touch them to open the doors! But for us, that doesn’t start until about Mid-May…. so technically I could spring clean before pollen season. But honestly? Just not into it this year!